You never know what you’ll see during morning camp check. 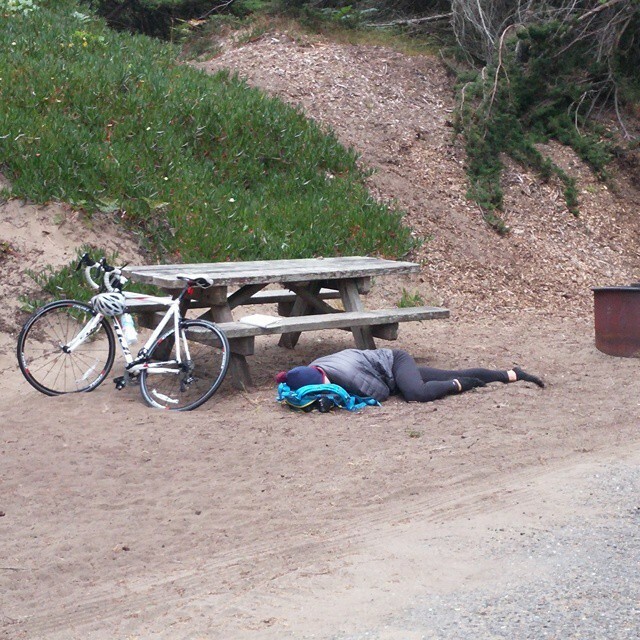 This exhausted bicyclist was too tired to put up a tent. This entry was posted in Seen at the Campground on June 14, 2015 by admin.